in Ukraine may soon push pump prices back up. The Royal Automobile Club (RAC) has warned that petrol and diesel prices are set to rise by up to 5p per litre in the UK due to uncertainty arising from the crisis in Ukraine. The British roadside assistance group adds that UK fuel traders have begun buying up fuel stock in bulk, fearing that potential conflict in Ukraine may put pressure on oil and petrol supplies and spark an increase in prices. The price of oil is “almost certain” to be driven up by the present crisis, according to the RAC, causing a further increase in fuel costs and raising forecourt prices for motorists by a possible 4p to 5p per litre. If the crisis were to lead to war the impact would be even greater, potentially matching that of the first Gulf War when petrol prices increased by 10p per litre. 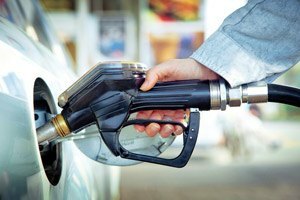 The bad news comes just as British motorists have enjoyed more than a month of the lowest average pump prices for three years, with petrol below 130p a litre. Industry experts say that the UK and other western countries are still too reliant on gas and oil coming from Russia and the present dispute could hit consumers hard. What criteria for making the right choice?